When I began writing TEXAS BLUE I knew I wanted to write two stories that ran at stampede pace through one novel. I’ve written 23 Historical Romances and Sagas, but this time I wanted the stories to be equal. No plot and subplot, just two full stories. I opened in 1875, with two friends parting ways one stormy night in Austin. Duncan McMurray, a Texas Ranger, is off to fight at the border and Lewt, a gambler, plans to find a wife while his friend is away. He thinks he wants a quiet, wealthy lady, unfortunately in Emily McMurray, Duncan’s cousin, he finds far more than he bargained for. Duncan is all a hero in a western romance should be, he’s wild, loyal and intelligent. He leaves his law practice to go fight with the Texas Rangers. Lewt, on the other hand never wants to get involved in fights of any kind. He plays his life like a game based on luck. Duncan wants to do what’s right, but his friend, Lewt, only wants to live a normal, quite life. When the stories collide, Duncan must depend on Lewt’s bravery and trust his life to their friendship. I’ve been setting books in Texas history for almost twenty years. As a fifth generation Texan, the world seems very real to me. People sometimes ask if I’d like to go back there, and I always say no, I just love living there in my imagination. While writing this book I felt like I was returning to a much loved ranch I’d written about before called Whispering Mountain. My hero, Duncan, was rescued as a boy from an outlaw camp and adopted by the McMurrays. He’s been raised with three girl cousins and feels very protective of them. When they think he sent men to the ranch hoping to marry them off, the girls declare war on Duncan. I know my readers are going to love this story as much as I loved writing it. For those of you who would like more about what was happening at the ranch before Lewt arrives, check my website www.jodithomas.com and read two chapters that had to be cut from early in the book. Remember, they haven’t been edited so jump over the misspellings. The scene of a childhood tragedy that forced her family to move, Seaboro, South Carolina, is the last place Catherine Leary wants to see again. But her father’s last wish to have his ashes scattered there, and his young colleague’s desire to write an article about him, conspire against Catherine. Hoping to stop her family’s secrets from being exposed, she travels to her once-beloved Lowcountry town-and embarks on a poignant trip into the past…a journey that might lead her into a new life of love, forgiveness, and self-discovery. About: (Book flap) BROOKLYN: Andi Alpers is on the edge. She’s angry at her father for leaving, angry at her mother for not being able to cope, and heartbroken by the loss of her younger brother, Truman. Rage and grief are destroying her. And she’s about to be expelled from Brooklyn Heights’ most prestigious private school when her father intervenes. Now Andi must accompany him to Paris for winter break. My thoughts: This was a book club pick that had been on my radar for a while so I was happy to read it. I thought the premise was interesting. There were numerous pop culture references – some I ‘got’, some I didn’t. Having majored in music, the classical music aspect of the novel was my favorite. There was a lot of angst but I understood where Andi was coming from re her emotions about her life. I just wanted to give her a hug (since neither of her parents seemed able), assure her that life would get better and that she wasn’t at fault for her brother’s death. I think my favorite character was Virgil who became Andi’s friend when she needed one most. He was a talented musician and a thoughtful friend. The parallel story about Alexandrine was probably a good introduction to readers not familiar with the French Revolution. 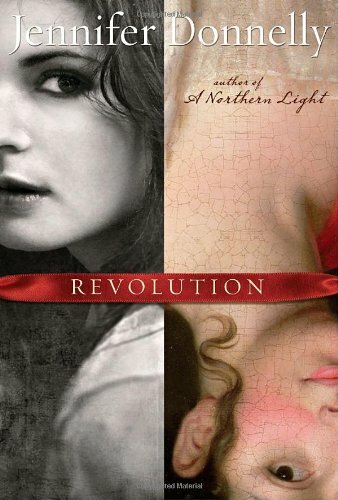 I’ve read other historical fiction novels about that time that were more satisfying. Upon finishing the book I felt I wasn’t the intended reader for the book. I thought it was ok but that’s it. There were parts I really liked and some I just didn’t feel a connection. I was in the minority in my group. Reactions were mostly favorable. 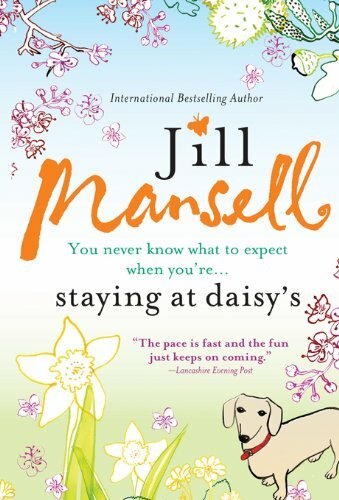 I’m going to give it to my niece and get her take – she’s seventeen and an avid reader. Did you read it? What did you think? Recommend? I think fans of YA fiction will enjoy it. About: (back of the book synopsis) Two women running away from their marriages collide on a foggy highway, killing one of them. The survivor, Isabelle, is left to pick up the pieces, not only of her own life, but of the lives of the devastated husband and fragile son that the other woman, April, has left behind. Together, they try to solve the mystery of where April was running to, and why. As these three lives intersect, the book asks, How well do we really know those we love-and how do we forgive the unforgivable? My thoughts: I think the last line of the synopsis best describes this novel. I found myself wondering if I would act as Isabelle did after the terrible accident. Would I have the nerve to approach the grieving father and son for more than an apology? Would Charlie and Sam be able to interact on any level with the woman who was responsible for killing April? And what would happen if they could? Isabelle, Charlie and Sam are fleshed out in such a way that I understood the motivation of each character. Isabel was fleeing a failed marriage to the only man she’d ever loved. Charlie knew things hadn’t been great with April and they’d even had words the last time they saw each other. Sam has a secret that eats away at him. He seemed so lost and unable to ask for help. I felt sympathy for all three. 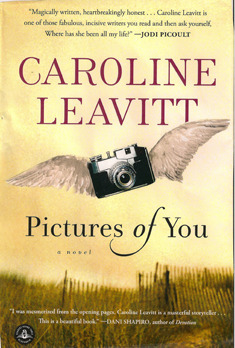 Caroline Leavitt’s novel is mesmerizing – I didn’t want to stop reading. I wanted to know where she was taking her characters. How would things end for Sam, Charlie and Isabelle? Would there be a chance for them to be happy or content – together or on their own? I must say I was surprised by a few twists near the end of the book. They would definitely prompt some interesting discussions for book groups. One issue that came up for me after finishing was the timing of the novel. When did the bulk of the story take place? I was unsure about it and that bothered me a bit. 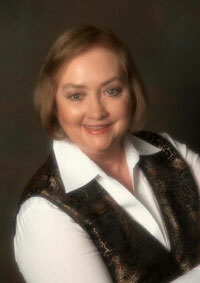 I enjoyed Leavitt’s writing and will definitely look for more of her books. Robin Miles’ narration was wonderful. She was easy to listen to and the voices she gave the characters worked for me. Recommend? Yes, I think it would be a good book group selection – book or audiobook. About: (Goodreads) The life Kamila Sidiqi had known changed overnight when the Taliban seized control of the city of Kabul. After receiving a teaching degree during the civil war—a rare achievement for any Afghan woman—Kamila was subsequently banned from school and confined to her home. When her father and brother were forced to flee the city, Kamila became the sole breadwinner for her five siblings. My thoughts: Gayle Tzemach Lemmon’s book is one of the most inspirational I’ve read in quite some time. She tells the story of Kamila Sediqi – a young woman who rose to the occasion when her father left the family in her care because he,her mother and brother had to flee Kabul after the Taliban invasion in the 1990s. After some time had passed the need to buy food and other necessities prompted Kamila to find a way to earn money. She went to her older, married sister who taught her how to sew. From those lessons grew a cottage industry that employed many girls from her neighborhood. By teaching the girls to cut fabric, sew, bead, etc. she helped them gain confidence and self-esteem as well as a way to earn money to help support their families. Kamila risked her safety anytime she would go to the market where she bought fabric and sold finished garments. She couldn’t go out in public without her younger brother (a Taliban rule) and she had to wear the required chadri (burqa). She had faith that God would take care of her. That faith carried her through some very distressing times. I was continually impressed by the courage and optimism displayed by all of the young people portrayed in this book. 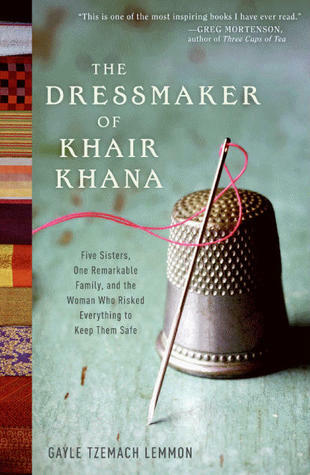 The Dressmaker of Khair Khana is a biography that reads like a novel. It’s a compelling story of the power of the human spirit during impossible times. I appreciated that the author included an epilogue and a Where Are They Today chapter. Recommend? Yes, it’s an uplifting and inspirational story. (Goodreads synopsis) Gambling man Lewton Paterson wants to marry into a respectable family. After fleecing a train ticket, Lewt makes his way to Whispering Mountain. 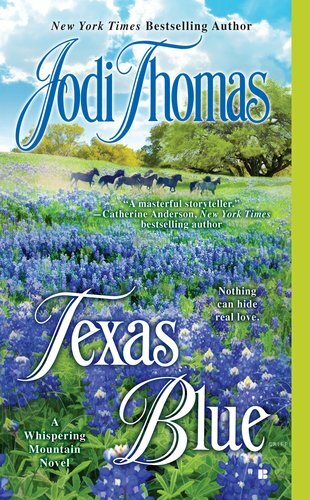 But seducing a well-bred woman is hard, and Lewt realizes that to entice a McMurray sister, he’ll need to learn a thing or two about ranching-and love. 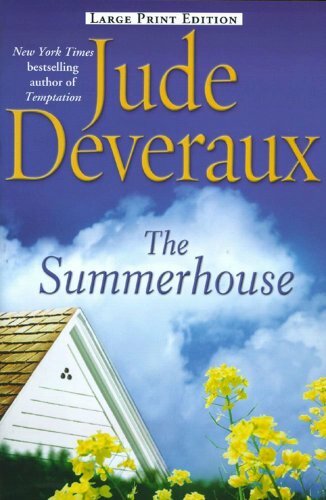 The Summerhouse by Jude Deveraux – I bought this after Sheila at Book Journey said it’s one of her favorite books. Thanks for the rec, Sheila! I’ll read it in a few months. 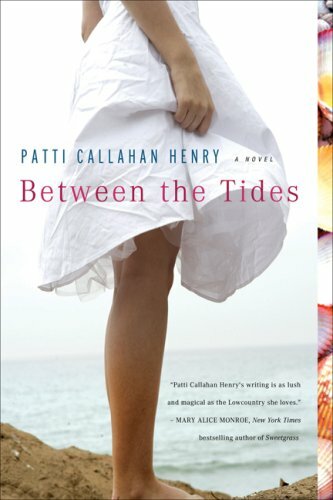 (Goodreads synopsis) Three best friends, all turning forty, celebrate at a summerhouse in Maine — and take stock of their lives, loves, and choices. A mysterious “Madame Zoya” now arrives, offering them a chance to relive any three weeks from the past. Each woman must choose a particular dream that got away — and a life to truly satisfy the heart’s deepest longings.